Friends of Cianfrani Park have an exciting opportunity to repurpose a piece of neighborhood history and make some overdue park upgrades and we invite you to participate in the conversation at a public meeting on February 4. 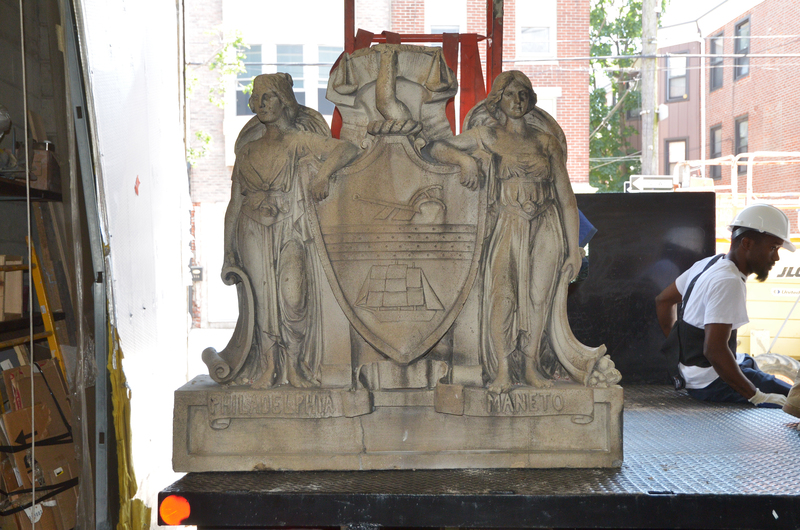 During the demolition of the old Fante-Leone public pool on Montrose Street, US Construction salvaged the 100+ year old architectural sculpture of the City of Philadelphia’s seal and donated it to the Friends of Cianfrani Park. 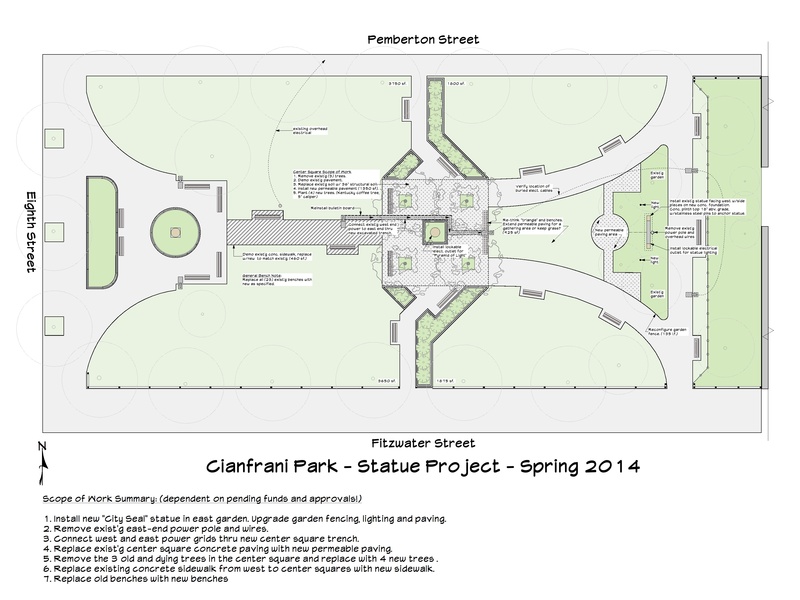 Since then Friends of Cianfrani Park has worked to develop a plan for reusing the beautiful sculpture as a piece of public art in the park. Since 2012 we have consulted with conservators, the Department of Parks and Recreation, Councilman Mark Squilla, and others about the possibility of installing the sculpture. Now we’d like you to weigh in too. Come to a public meeting on at 7pm on Tuesday, February 4 at Palumbo Rec Center (10th/Fitzwater) for a brief presentation and discussion about the project ahead. In addition to adding this beautiful sculpture to the park, the project presents other opportunities for upgrades including: new lighting and electrical improvements; removal of 3 dying trees and planting new ones in their place; new pavement and walkways; and new benches.